This year we're going to have a Happy! Easter! Lili Mirojnick joins us this week to talk about Season 2 of the craziest show on TV! Hear her talk about where we find Merry at the beginning of Season 2, who she has her sights set on and how she may feel about the new Nick Sax. Plus, you know we have to ask about what kind of imaginary friend that Merry may have. WATCH THE SEASON 2 PREMIERE OF HAPPY! ON WEDNESDAY MARCH 27TH ON SYFY! Speaking of Syfy, we have a SPOILER FILLED review of the Season 1 finale of Deadly Class. 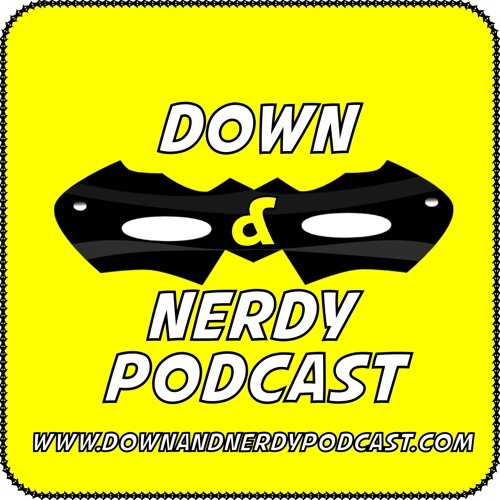 We also talk about the Stranger Things Season 3 trailer, Google getting into gaming and the return of Lazarus to Image Comics! That's just a fraction of all the nerdy goodness we have in store for you! Find out more about us at www.downandnerdypodcast.com Brought to you this week by Care/Of ... go to www.takecareof.com and enter promo code DNPOD50 for 50% your first vitamin order!